This post is part 2 of “How to Register a Business or Company via Internet?” series. It is applicable to registering a business or company. This step is also the shortest & simplest step in the whole process or business or company registration. It takes less than 5 minutes but has to wait for a few hours or a day to get approve for myGovernment PSP (Public Service Portal) user. These are the steps for registration. Browse to SSM e-account registration page. 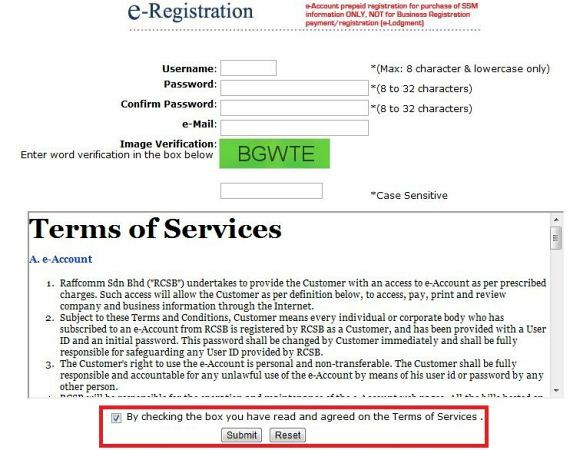 Make sure all the information is correct & check “I agree to Terms of Services” check box. Click “submit” button & you should receive a registration email from SSM. You can now login to SSM e-account & get familiar with the inteface. Business or Company registration is taking place at myGovernment PSP (Public Service Portal) website. 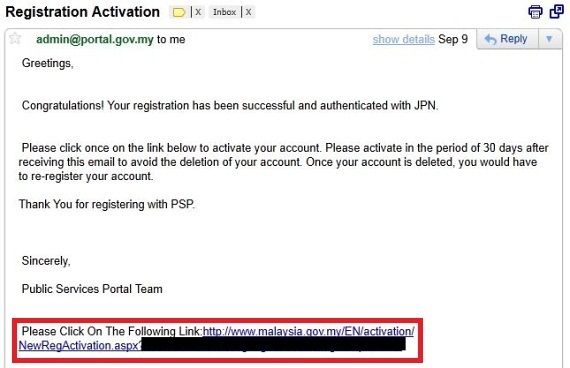 As mention above, registration is simple, but it may take sometimes to get approved as they are authenticating your registration information against JPN (Jabatan Pendaftaran Negara) or NRD (National Registration Department) records. So make sure all the information are entered correctly. One very important reminder is to use only Internet Explorer to do all transactions at myGovernment PSP to avoid any error. This is because they are using Microsoft SharePoint software in the portal which is unfortunately not 100% compatible with another browser. These are the registration steps. Browse to myGovernment PSP registration page. Select “Individual Registration” by clicking on “Individual” button. 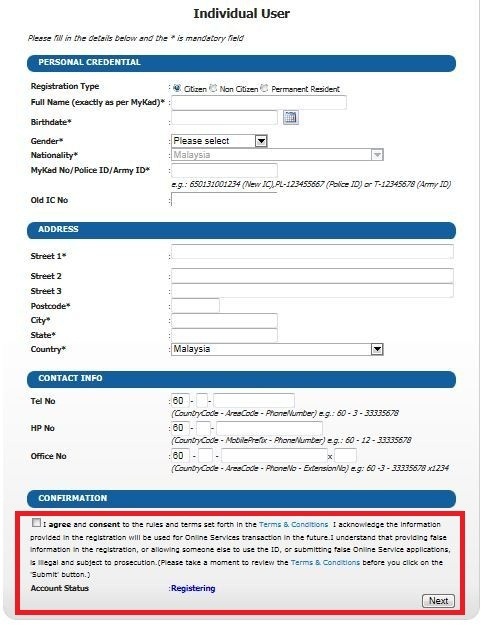 Fill in all personal particulars as per screen shot below. Make sure all the information is correct & check “I agree” check box. You should receive an email from portal admin stating that your membership is pending approval. Normally, the approval process may up to one day. When approved, you will receive another email asking you to activate your account as shown in the screen shot below. Click on the activation link to complete account registration. You can now login to myGovernment PSP & get familiar with the interfaces. Now, the process of registering for SSM e-account & myGovernment PSP User completed. Click on “How to Register a Business or Company via Internet? if you miss the summary on Business or Company registration via the internet. The subsequent article will be posted later.